DeBeer Granite and Marble has been built on 16 years of experience in the natural stone and granite business. Quality fabrication, installation, and outstanding customer service is their trademark. Their exquisite stones are acquired in countries from all over the world. The stress of remodeling your home is hard enough, without having to worry about getting ripped off by a shady company. For these projects, DeBeer Marble and Granite’s exceptional service precedes them. From your first free design consultation to the final product reveal, you can be sure you are being charged the best price for the best work around. You cannot get better quality for your money with DeBeer, who boasts almost twenty years of experience in the industry. No design or remodel job is too big or two small—and they have pictures to prove it. They are so confident that you will love the work that they do, they offer a 100% satisfaction guarantee on all of their work. DeBeer Granite and Marble is emphatic about their focus on customer service. They treat every past, present, and future customer as an individual, and make sure that they are available to you. 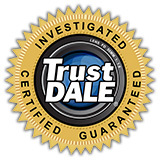 The type of integrity and dependability that they offer is second to none.